Deaths from gun violence in the city jumped 53 percent to 26 so far in 2018 from the same period last year. 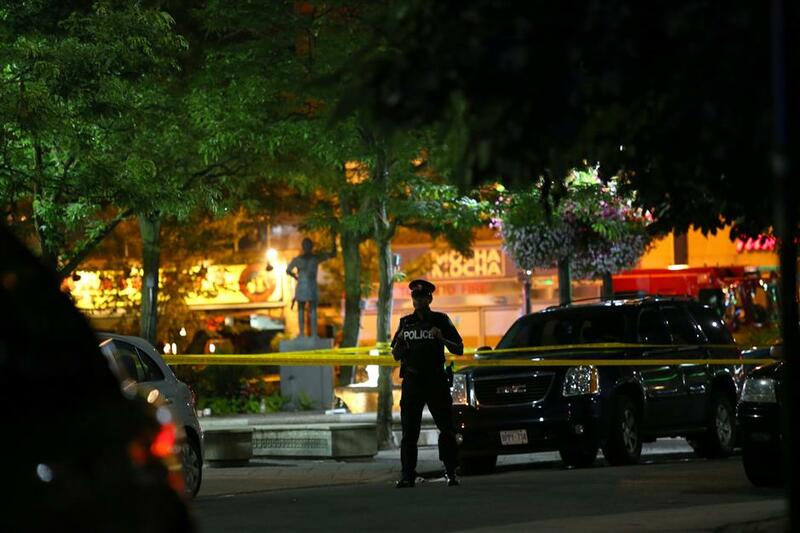 A police officer stands guard at the scene of a mass shooting in Toronto, Canada, July 22, 2018. "The people of Toronto are strong, resilient and brave — and we'll be there to support you through this difficult time," Trudeau tweeted.